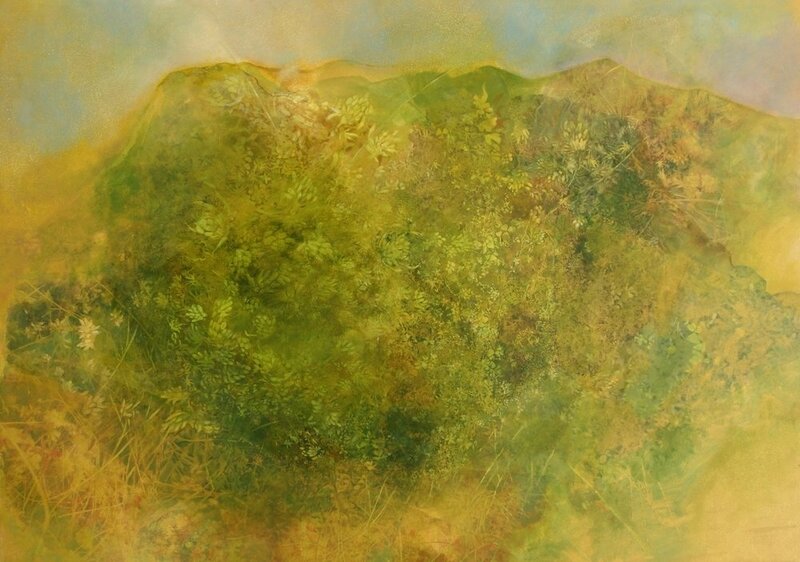 I am interested in the nature of landscape, in looking, noticing and questioning. The idea of a sense of particularity of place and custodianship is fascinating to me and very relevant. So I have been exploring and experimenting with ways of expressing what it is I’m seeing when walking in the landscape, particularly in Scotland. Looking at geology, the textures and historical mark-making on rock surfaces and also looking at flora, its forms, habits and colours. 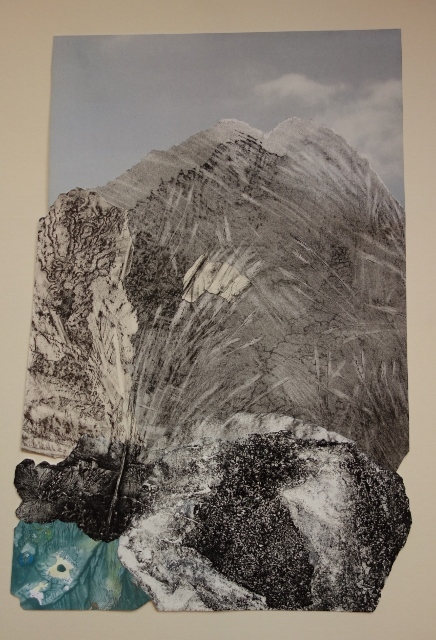 I’ve collaged printed, drawn and photographic pieces to create compositions to describe what I’ve seen or experienced. When making drawn and rubbed 'specimen sections', or 'detail lumps' these have also turned into 'rock maps' with contour lines and other map features.. The detailed oil painted boards describe the vivid colour and intricacy of sphagnum in a blanket bog.